Grunts and Sweetlips are member of the Haemulidae family, which encompasses 19 genera and 133 species. The Oriental Sweetlips (Plectorhinchus orientalis) is one of the most commonly sold grunt species. 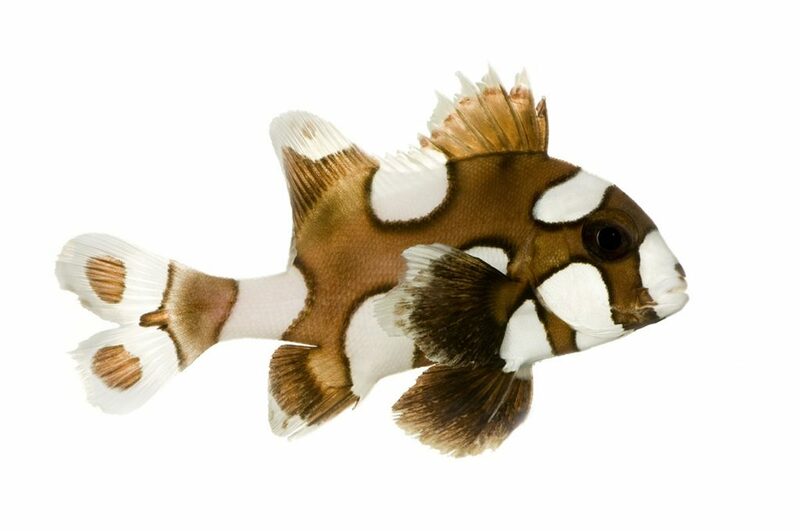 Other popular species in the aquarium hobby include the Harlequin Sweetlips (Plectorhinchus chaetodonoides) and the French Grunt (Haemulon flavolineatum). Grunts are found in freshwater, saltwater and brackish water throughout the tropics. They have a ventral oriented mouth with large sensitive lips, giving rise to the nickname “sweet lips”. They are predatory fishes that cruise the substrate hunting for prey. One of the unique characteristics of these fish is their ability to produce a large, audible grunt that can be hear from great distance. In addition to being found in aquariums, Grunts and Sweetlips are popular sport fish around the world, and in some instances are targeted for commercial food fisheries as well. Grunts can make great aquarium inhabitants, provided their husbandry needs such as diet, water quality and tank space are met. Being such large fish, one of the most important aspects to their captive care is the aquarium size in which they are to be maintained. Even smaller species of grunts obtain a relatively large size. Moreover, being predatory fish it is important to only keep grunts with other similarly sized fish that cannot be easily consumed. Grunts prefer a temperature range of 22C (72F) to 27C (82F). Grunts are generally not considered reef safe due to their tendency to consume smaller fish and invertebrates. That being said, they do not harm corals so can be maintained in large living coral reef tanks provided their tank mates are selected with care. It is important to consider carefully what species of grunt may be best for your aquarium. Wall member of the grunt family reach a fairly large size, requiring significant tank space for long term health. We suggest a diet based on Piscine Energetics Frozen Mysis, , Piscine Energetics Pellets (3mm) and Piscine Energetics Saltwater Flakes.